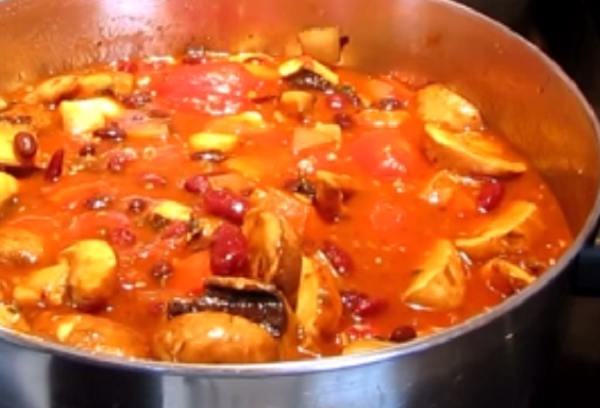 This is a very quick and easy recipe to suit most everyone's diet, and is a must have to warm you up on a cold wet day. Something sweet: Add 2 tbs organic honey OR 6 pureed organic dates OR 1/2 cup pineapple. Saute onion, peppers & mushrooms in olive oil, add garlic,salt & spices, Add all other ingredients, stir and simmer for 10 minutes.